Patiently waiting for more P-STR8 triggers.. I thought I saw a post on a possible SAO P-STR8. Anything going on with this? Also, have you given thought to a narrow version of the original for older models? I think those projects are "in development." Note "in development" does not necessarily mean it will end up being a product that is released. I realize that does not tell you much, but when they have more definitive information it would be released. 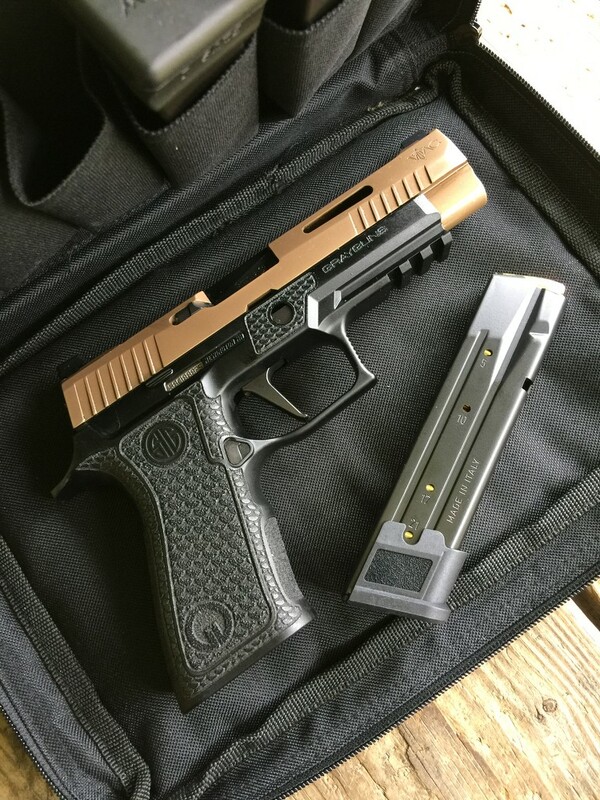 Regarding the EDC Straight Optimized Trigger Kit for SIG P-Series: I have a DAK compatible frame that I'm wanting to put this on and it does not have an SRT. Can you describe how this would work with and without a Short Reset? Would you suggest using the OTK with or without the SRT? I have the SRT on all my Sig P series pistols except for the one mentioned and haven't decided to add it to this one yet. Hiya! Thanks for asking about non-SRT compatibility. While you should be good, I will say I designed our GGI trigger bar to function optimally with both SIG SAUER and Grayguns Inc. SRT sear variants. So, tell you what, please give the EDC a try, and let us know if you have any issues with your particular frame and safety lever? I’ll back it. 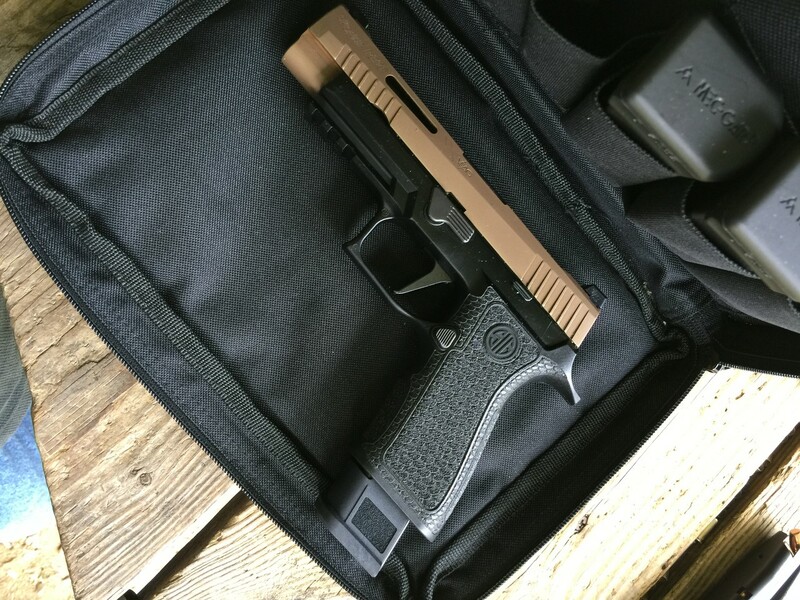 Will that same trigger in the VTAC shown above work in any P320? That's a regular Grayguns PELT2; straight version. It will work with all variants of the P320. Too bad the EDC SOT only fits the DAK compatible frame. That means 99% of P228 owners out there will not get to try this. Only the following P228s have DAK compatible frame: the SAS frame P228, the P228R, and the stainless frame P228. That's a regular Grayguns PELT2 straight version. It will work with all variants of the P320. I hope this is the proper place to ask this question to Mr. Gray or associates. I have been checking your web page for the last 3 months and the P-STR8 flat adjustable trigger has been out of stock. Will they be available in the future or is the EDC trigger kit replace the old P-STR8? Yes, it sure will. Thanks for asking! In practise, we know various P-Series models have been assembled with both DAK-compatible and original-window frames in parallel all along. We wisely decided to start out with a kit designed to service modern, current production variants, and work back from there. Our next kit covers obsolete model variants accepting the older trigger bar, like your P228. We’ll have these bars finished and available in a few weeks, with the P220 version to follow. No way was I going to not cover the scads of old-school P-Series owners out there! We will continue to meet demand for our original PSTR8 and Dual-Adjustable Intermediate triggers. As we’ve expanded Grayguns tremendously, my bandwidth for R&D and our capacity for production have not kept up. I know that’s been frustrating! Once we’re moved in to our new facility in Reedsport, Oregon, we’ll be able to keep everything in stock. No way was I going to not cover the scads of old-school P-Series owners out there! Does this mean that products for DAK models are in the pipeline? Be still my beating heart! Hi! The SAO PSTR8 versions are finished R&D and scheduled for production. I’ll keep you posted as they progress towards introduction soon. Thanks! We have promised this for a long time, and we’ll finally get them done. It’s just a bandwidth versus priority thing. But we will make some! I know that’s been frustrating! Once we’re moved in to our new facility in Reedsport, Oregon, we’ll be able to keep everything in stock. Hopefully you can make a few more of the short extractors ! Thanks. In the meantime, I might try one on the P228R or the SAS frame P228. That's great news! I shall hold off on trying to smooth out a serrated 8mm trigger.